As I expected I would, I had a blast at Friday night’s Crashed Ice event in Saint Paul, and as I wrote about this week, there were, indeed, periods of inactivity not captured by all the glitzy videos that Red Bull has been putting out and which it will continue to issue this week. There are times — mostly winter — when Saint Paul “gets it” like no other North American city. It was smart enough to understand the drawing power of the beauty of the Cathedral of Saint Paul, when combined with the beauty of a community — mostly young people — coming together to do little more than celebrate winter. No endless braying of cold temperatures by TV (and a few radio) meteorologists can disguise this fact: the people of Saint Paul and environs know how to make winter a verb. If you go tonight, do this: When everyone is watching the skaters, turn around and watch the faces of everyone watching the skaters — it’s a great picture. (And then send that picture to me, please). Check the great expressions in this image. Here are more images by the incredible MPR photographer, Jeff Thompson. Red Bull, by the way, is out with a new glitzy video. Beautiful. That’s why you get the big money. Let’s hope the nanny lobby doesn’t push to ban it after the inevitable owies. Yes leave it to the Cathedral to revamp a Colosseum atmosphere, both mentally and energetically. They don’t refer to them as Roman Catholics for nothing. 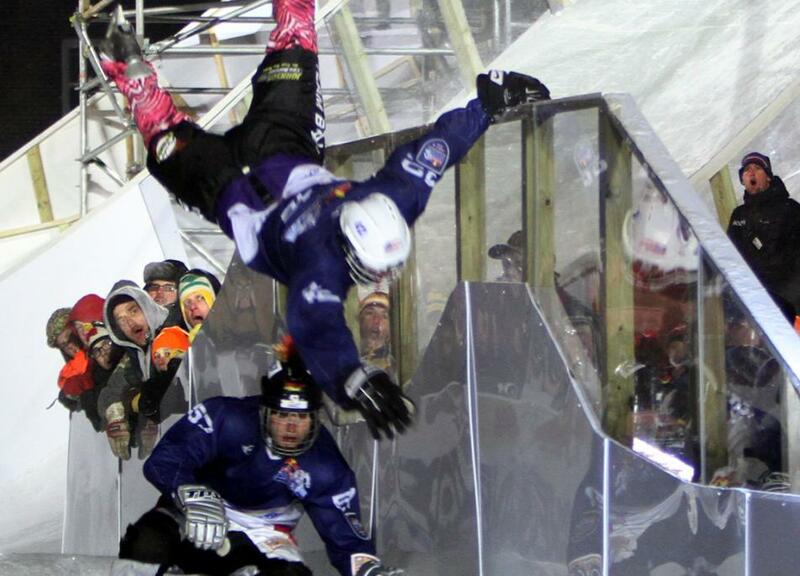 Bob, Crashed Ice kind of snuck-up on me. Whose brain-child is this? Did St. Paul approach Red Bull, did Red Bull approach St. Paul, or was it an advertising agency and network creation? And who folded the Cathedral into the event? 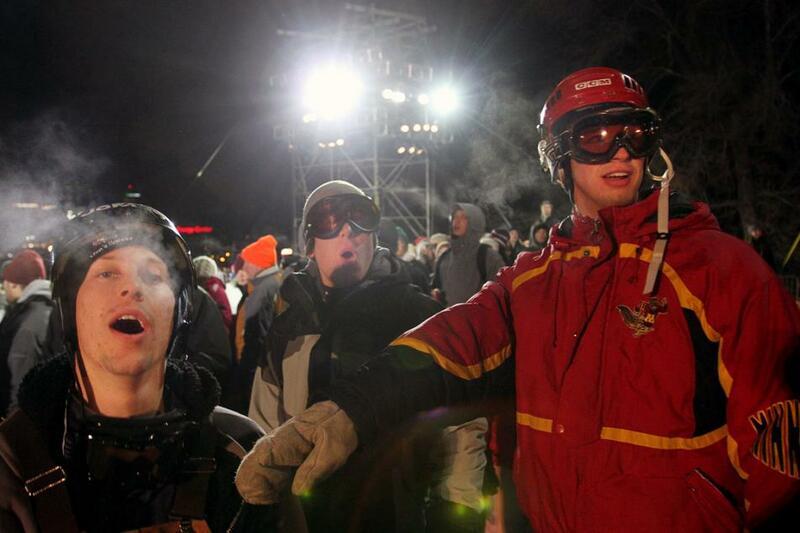 So when they decided to bring the Crashed Ice to the US, St Paul was a logical choice. Both because as Bob said, they know how to do a winter event, and the success that Red Bull had a year and a half ago. As far as Cathedral hill as the site. It was probably the only place you could get the drop and distance required.